Engaged, dedicated employees are vital to business success. Most business leaders would rest better at night if they could believe that their workers are fully invested in driving their businesses to success. According to a 2011 Gallup poll, however, these leaders can’t snuggle up as soundly as they'd like. The survey found that 71 percent of all workers labeled themselves as either “not engaged” or, even worse, “actively disengaged.” Are these survey results characteristic of your workforce? Find out by actively working to measure employee engagement. The employee survey is by far the most common tool used to measure employee engagement. Because this method allows for anonymous responses that are quantifiable, it's one of the easiest information collection methods. If you use this method, however, do so cautiously. As Edward E. Lawler III reports for Forbes.com, users of this method must produce sound surveys and select effective methods for analyzing the results to avoid skewed data or misinterpretation. Instead of locking yourself in your corner office and looking at survey results, get out into the workplace and get a feel for what's going on. 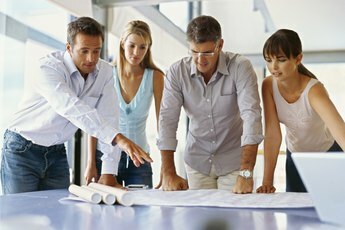 Walk around and observe workers regularly, taking notes on their activities. Look specifically for signs of engagement, such as on-task workers and on-topic discussions. 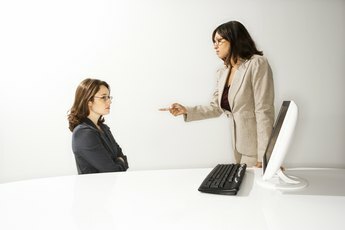 Also, make note of workers who exhibit signs of disengagement, such as sitting passively at their desks or spending copious amounts of time at the water cooler gossiping instead of productively communicating with co-workers. If you want to know how your employees feel, ask them, suggests Fabio Grassi, executive learning director for the Irish Management Institute. Instead of engaging employees in anonymous survey taking, get some face-time with them, speaking to employees one-on-one. Not only will this string of dialogues help you better understand how your employees feel; it will also help you build relationships with these workers. Create a system of open communication to ensure that you maintain an accurate picture of the degree to which employee are engaged, says Terrie Nolinski, a research associate for the National Business Research Institute. Set up a comment box and ask workers to place suggestions and ideas in the box. Encourage workers to comment often and openly. Keep track of all of the feedback you get to develop an understanding of how engaged or disengaged your employees are. Engaged employees produce high-quality work, states Alan E. Hall, founder and chairman of MarketStar, in an article for Training Magazine. Instead of asking employees how engaged they feel, let their work speak for them, Hall suggests. Regularly inspect employees’ work. If you notice that the quality of work has declined, you can safely assume that employee engagement is decreasing as well.